It is now possible for concerned parents to treat their child’s attention deficit/hyperactivity disorder (ADHD) without medication. This book shows them how. 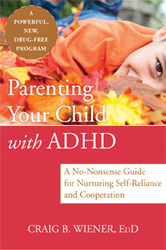 Written by a supervising psychologist who specializes in child behavioral issues, Parenting Your Child with ADHD presents a groundbreaking program for parents seeking to reduce their child’s inattention, hyperactivity, and impulsivity and strengthen his or her capacity for self-reliance and cooperation. 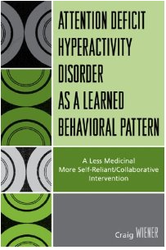 This unique program promotes positive ways of interrelating and shows parents the five main ways they may have unwittingly reinforced ADHD symptomsin the past. Far from encouraging parents to strictly manage ADHD children, this approach promotes independence in kids so that less discipline and surveillance is necessary. 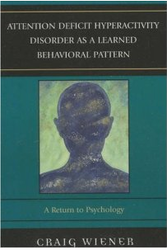 Specifically, this book helps parents promote cooperation by phrasing their requests in specific ways, reduce pressure on their child, and acknowledge the child’s preference as a way to make cooperation a more attractive choice to him or her. Parents learn to resolve problems related to messiness, inappropriate silliness and intrusiveness, chores and helping family members, coordinating schedules, sneaking and stealing, noise and yelling, and overreacting. The second part of the book moves on to issues that take place outside the home, such as shopping excursions, family outings, and travel. Finally, parents learn ways to increase their child’s independence and cooperation with schoolwork and compliance in the classroom environment. The child learns the value of being knowledgeable without the motivation of punishment or gift rewards.